Christmas ornament crafts are a great craft project for kids, or an activity for early-in-the-season Christmas parties. Everyone likes Christmas ornaments, and there are lots of quick and easy Christmas ornament crafts that make great gifts. A classic Christmas ornament craft for kids involves pipe cleaners and plastic pony beads. 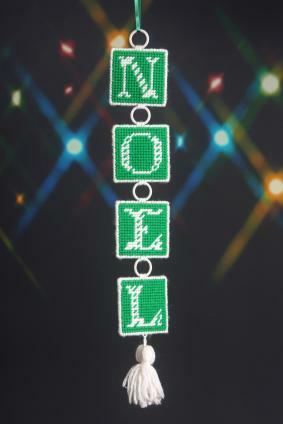 Choose beads that are green, red, white, and clear, and pipe cleaners that are red and green. Small pipe cleaners can be strung with any combination of beads and made into wreaths, or with alternating red and white beads and shaped into a candy cane. Longer pipe cleaners can be shaped into stars, hearts, and other basic shapes. This is a great idea for a holiday party because you can lay out all these options and see what different people choose to decorate their Christmas ornament crafts. 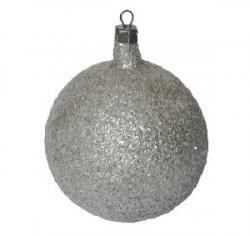 Another Christmas ornament crafts go-to that's almost as versatile as a glass ball is a Styrofoam ball. These come in many different sizes and could even be stacked together to make a little snowman ornament with very little effort: just glue the pieces together, add a face and maybe a little scrap of fabric for a scarf. These foam balls are great for wrapping with other things, such as fabric, yarn or ribbon. You can also buy metallic-headed pushpins or straight pins with large heads and stick them into the ball to make a cool modern decoration. The balls are a little fragile, so you might not want to do this craft with little kids. Another classic Christmas ornament craft is anything made out of dough. It's easy to make a whole bunch of salt dough and use cookie cutters to make basic shapes for ornaments. You can find all sorts of recipes on the Internet, but the basic recipe is four cups of flour, one cup of salt and about one and a half cups of hot water (more or less depending on the consistency you get when you mix everything together). Once the dough is formed to the consistency of cookie dough, roll it out and use cookie cutters to shape. Microwave for about two minutes or bake in a 100 degree oven for two or three hours, until the ornaments are dry and hard. These ornaments can then be decorated with paint and glitter. If you want to do this for a party, you might cut and bake the ornaments in advance and have them ready for people to decorate, or make up some dough at the party but also have some ready-made ornaments so people can decorate ornaments and take some of the dough home to make more. If you're looking for inexpensive Christmas ornament crafts, you can make ornaments out of paper. Construction paper is great for making paper loops, or you can cut out shapes and string them onto lengths of yarn to make a garland or a bunch of individual ornaments. Use construction paper or card stock to make an annual Christmas picture ornament. Just cut out a shape from the center of one piece of paper (round, square, or rectangle), leaving a frame around the outside. Place your picture, then put another piece of paper on the back. Tape it all together and write the date somewhere on it so you'll remember what year it was if you do this every year. Gather pinecones, acorns, pine boughs or just about anything else you find outside and incorporate them into your Christmas ornament crafts. You could spray paint these items to make them a little sparkly, or just leave them as-is for a natural look. 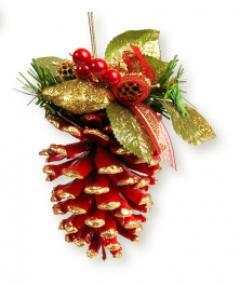 Use gingham ribbon or raffia to make a bow or loop that you can use to hang your natural Christmas ornament crafts. Don't limit yourself to these suggestions: check out the ornaments you can purchase at your local crafts store and then go looking for materials so you can make similar ornaments yourself.